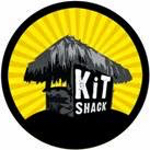 There’s always lots of excitement when a fashion house reveals its latest collection, similarly when a car manufacturer launches a new model, a football club shows off the latest strip or a band announces a new album. Well for me, although I enjoy footy and music, I also really look forward to Bait-Tech’s new additions to their fantastic range every year.There’s always a plethora of great new products and in recent years Bait-Tech has produced groundbait, pellets, additives, boilies and hookbaits for every occasion, my personal favourites have been Pro Natural Dark (which I use for all my silvers fishing now), F1 which is my ‘go to’ groundbait on commercials and multi purpose glug ‘The Juice’ which you can add to just about everything. So as they started to reveal what was new for 2017, what was I looking forward to getting my hands on? 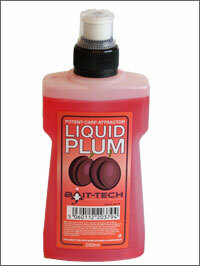 Liquid Plum led the charge as the first announcement and the latest addition to the already comprehensive and very popular liquid additive range. It did strike me as a rather unusual flavour to sit alongside established ones like Scopex, Tutti-Frutti and Brasem but it certainly had me intrigued and I was really looking forward to trying it out. 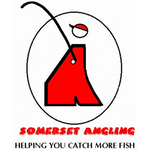 News of more products then came thick and fast, two more oils, Hot Chilli and Super Fish were added to the range along with loads of new prepared particles, Nutty Spod Mix, Super Seed Spod Mix in a pouch and the Growlers Tiger Nuts and the Hot Chilli Growlers are now available in jars. 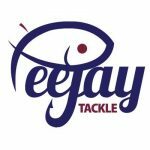 Then there were hookbaits galore with The Juice Dumbells available as wafters, sinkers and pop-ups in 8mm and 10mm and Super Fruit Pop-ups (10mm and 15mm). 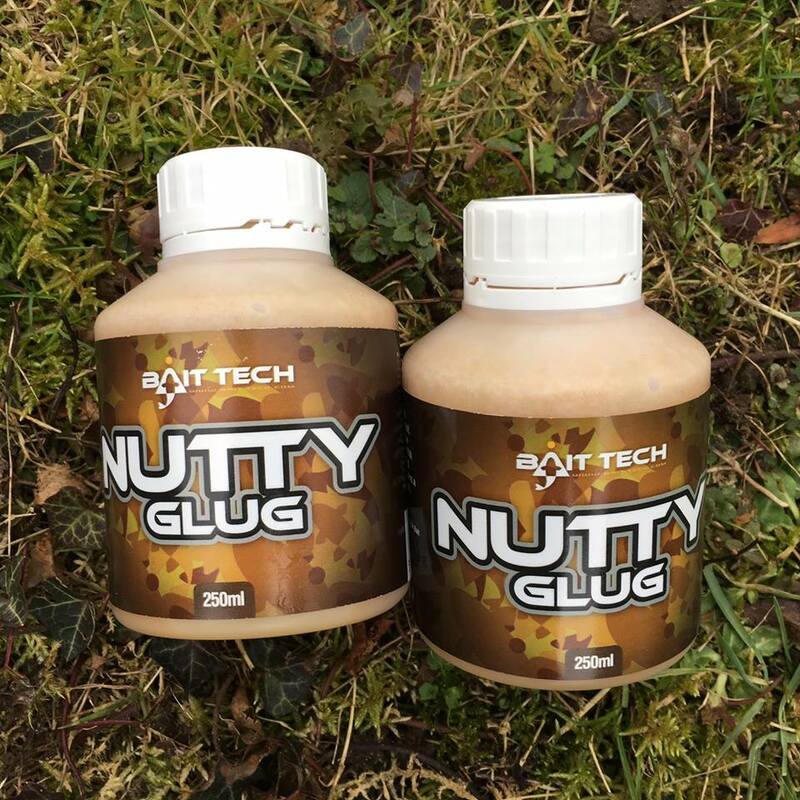 Then came the showstoppers, firstly the new Triple-N boilie range, a super nutritious triple nut blend along with all the various hookbaits, stick and bag mix, liquid and glug, obviously aimed primarily for carp fishing, I intend to have a play around with the Nutty Glug. Next up were the groundbaits with Pro Feeder and Pro Feeder Dark, initially I thought they were just two variations of the same groundbait but they’re two totally different mixes, the Pro Feeder is a natural mix for skimmers, roach and perch while the other is actually a dark fishmeal mix for bream, carp and barbel, so all types of feeder fishing are covered. 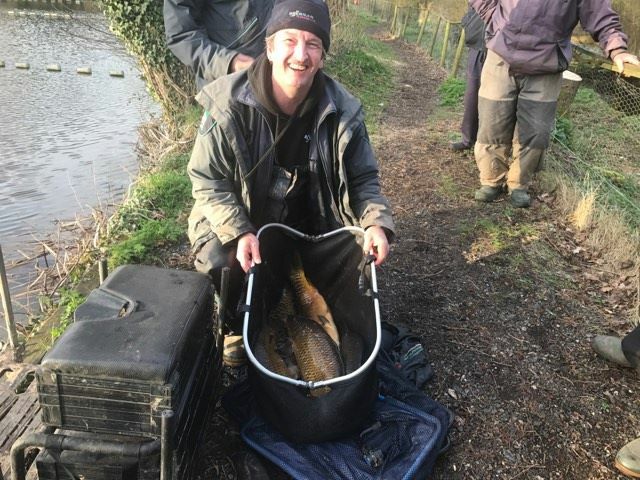 Then Bait-Tech raised the curtain on the main event (as far as I was concerned! ), new Special G Dark which looks like perfectly complimenting Special G Green and Gold which are both massively popular. 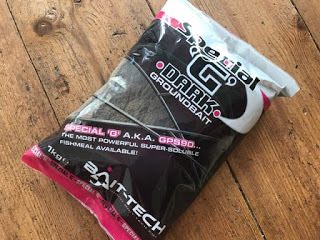 As I said earlier, I’m a huge fan of dark groundbaits and can’t wait to try this one out. 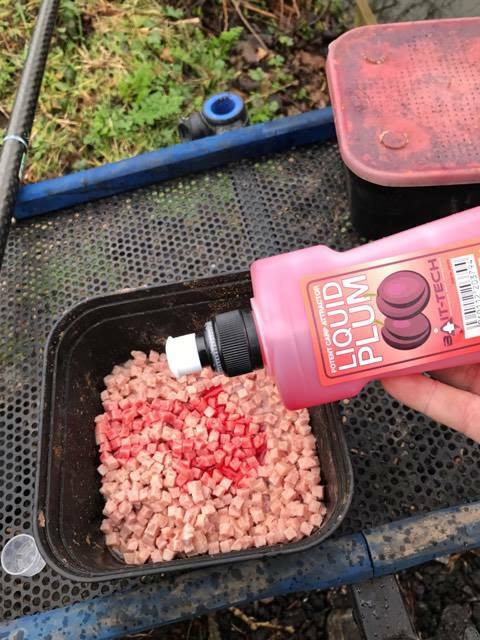 The first product I actually used in the field was the Liquid Plum, it has a lovely soft fruity smell and is a rather gorgeous purple colour, whenever I use meat, I like to give it a boost and in recent years I’ve done well using Bait-Tech’s Liquid Krill and Tuna and I was hoping this new flavour would be just as effective. I always add a little water to stop the meat drying out and then add a couple of squirts of my chosen additive, in this case Liquid Plum. I fed a five metre line all match with a few cubes of meat and in the last hour I had a good carp which helped me to a section win and I’ve now got loads of confidence in this new product already. With any additive, it’s very difficult to prove whether you’ve caught because of it or would you have caught without it but I certainly don’t think they do any harm and they might just give you an edge. One thing additives and flavours can do is give you confidence and that’s certainly no bad thing. You can check out the full account of that match here – Return to Perry St and over the next few weeks I’ll be taking a closer look at more of the new products. *Bait-Tech sent me these products for free in exchange for an honest review. All opinions contained in this post are my own.